For some of us, “winter” is just a light-jacket season when you can finally give your car's A/C a rest. But if you live in an area where winter is typically accompanied by outdoor hockey, snow chains, and huddling up by the fireplace for warmth, there are certain things that you simply must do to make sure your car is ready. Here's a quick-start guide, but remember -- the harsher your climate, the more extreme you’ll have to go. 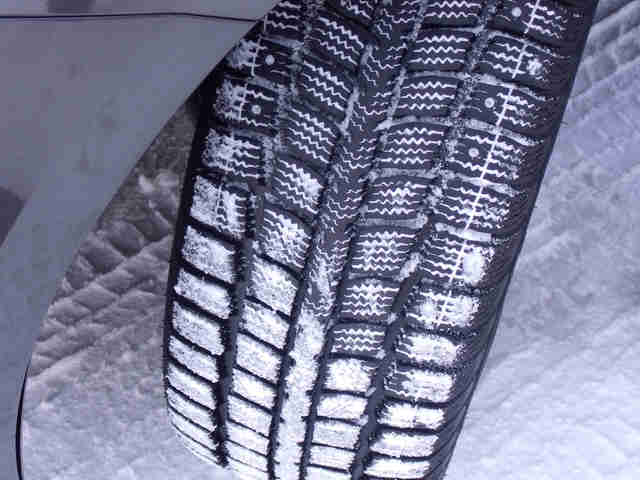 If your area sees an occasional snow now and again, you should at least get all-season tires with plenty of tread on them. But if you live somewhere with more fresh powder than Tony, MT, consider having a separate set of winter wheels and tires to toss on during the snow-filled months. Their specially designed tread and rubber compound will help you stop, accelerate, and turn drastically better. 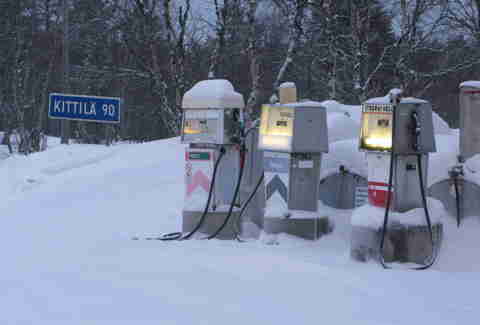 Do this, and even a rear-wheel-drive car will outperform one with all-wheel drive when the weather turns foul. As a general rule, your tire pressure will drop one psi for every 10-degree drop in the ambient temperature. If the last time you checked your pressure was on a balmy 70-degree day, and it’s now 10 outside, it’s a pretty safe bet you could use a few pounds of air. Not only will it keep you seeing clear out your windshield during long drives on the highway, it will prevent you from replicating one of the single dumbest mistakes this author has ever made behind the wheel of a car: coating the windshield in a layer of brand-new ice by spraying it down with normal washer fluid in freezing conditions. Make sure your radiator and coolant reservoir are both full and free of leaks. This is every bit as important in the winter as it is in the summer. Think about it this way: coolant is commonly called anti-freeze because it requires a much lower temperature to solidify. If you’re running low and you top off with pure water instead, you're opening yourself up to some serious risk. If that water freezes, it could crack your engine block as it expands, and that’s basically game over for your car. 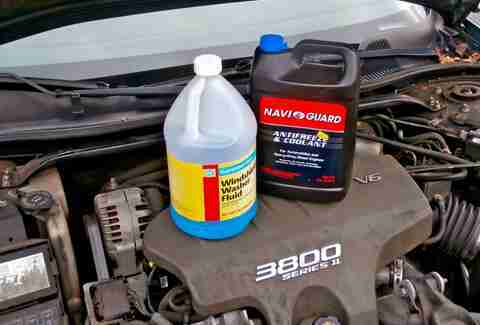 Technically what you're looking for here is called a sealant, which in layman’s terms is a modern synthetic wax that, if you put it on late in the fall, will keep your car protected until spring. The more coats you can put on, the better. Sealant will make all that road grime easier to wash off, and as a result, you’ll be far less likely to scratch your paint when you wash it... which you should continue to do regularly. 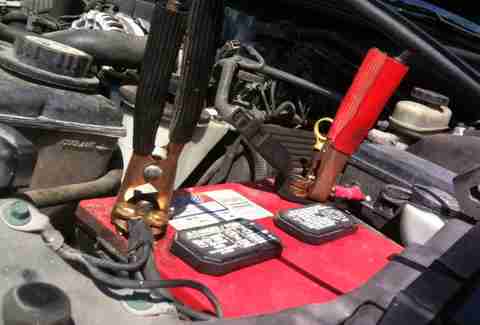 If your battery is brand new, and you’ve never had an electrical problem with your car, this isn’t likely to be an issue. On the other hand, if your battery is more than a couple years old, have someone who knows what they’re doing -- and whom you trust -- check both the battery and your alternator to ensure that you have an appropriate amount of voltage. That “clickclickclickclickclick” sound followed by silence is basically the worst sound on Earth in the middle of the night during a snowstorm. 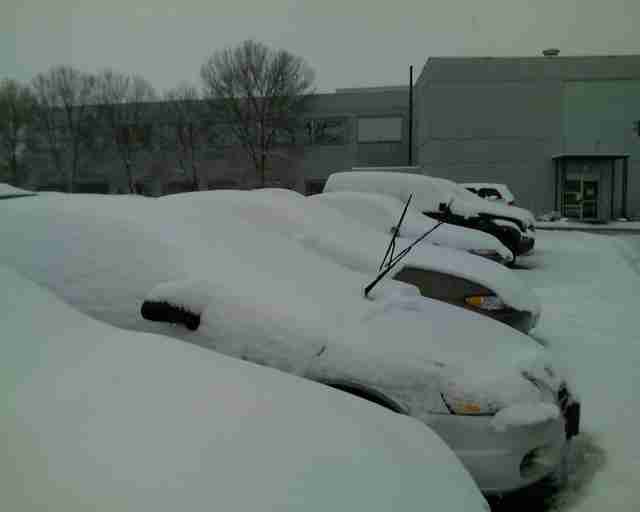 They might not be showing signs of wear just yet, but winter can be especially harsh on your windshield wipers. Between using them more frequently, and scraping them over grit like sand and sleet with every pass, they could go pretty quickly if they’re not brand new. Especially if you're anticipating precipitation, windshield wipers should be kept in their upright position. Not only is it annoying to free them from thick layers of ice in the bitter cold every morning, but pulling them against the glue-like ice is bad for the rubber. If you happen to accidentally turn the wipers on for a second or two while they're stuck, you could hurt the motor, too. Gasoline displaces moisture, and if your tank is empty in the winter, you’re inviting condensation to form. From rust and corrosion to ice blocking your fuel lines, this is a great way to trash your fuel system. Help cut down on the risk by filling up far earlier than you normally would. Note that on new vehicles, the fuel systems are sealed from the atmosphere to a far greater degree, so this isn't nearly as much of an issue. A blanket, gloves, a first aid kit, and a spare cellphone battery are your bare minimums here, but you should also have a battery jumper, and, depending on how much snow you’re likely to face, a shovel and kitty litter, to help get you out of any unusually deep snow banks. As often as you can, use a strong jet of water to blast out all the road grime you’re collecting from the slush. If there’s salt in there, or worse yet, magnesium chloride, it will corrode any exposed steel. You want to get it out of there ASAP to avoid serious damage. Aaron Miller is the Cars editor for Thrillist, and can be found on Twitter. 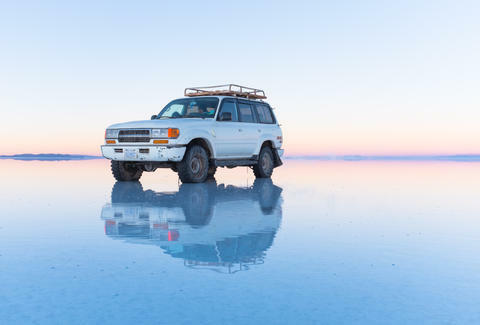 He was once stuck on a sheet of ice so badly that he was able to let out the clutch, in fifth gear, then get out of the car to watch the wheels spin. He didn't reach his destination that day.